Typhaine Delaup was born in Lyon, France. She trained at the Conservatoire National Regional before coming to England, and graduated with a BA Hons in Dance Theatre at TrinityLaban Conservatoire in June 2012. During her training, she worked with Maguy Marin, Gill Clarke, Efrosini Protopapa, the Trish Brown Company, Matteo Fagion and toured internationally with choreographers Zoi Deimtriou and Jeremy Nelson. Typhaine works now internationally as a freelance artist for Protein dance company, Leila McMillan, Levantes dance theatre, Tara D’Arquian, adam James, Tony Thatcher, The Drunken Chorus, Walter Thompson, JJJ & Willi Dorner. 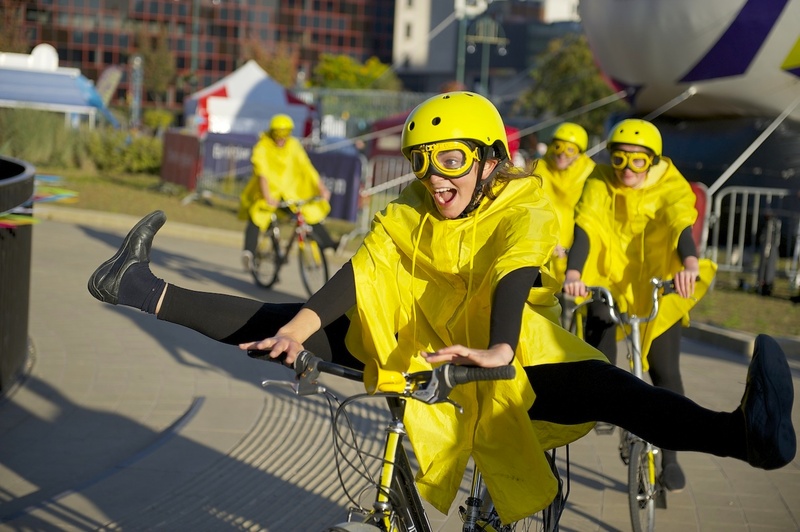 Typhaine joined The Bicycle Ballet Co in July 2013.